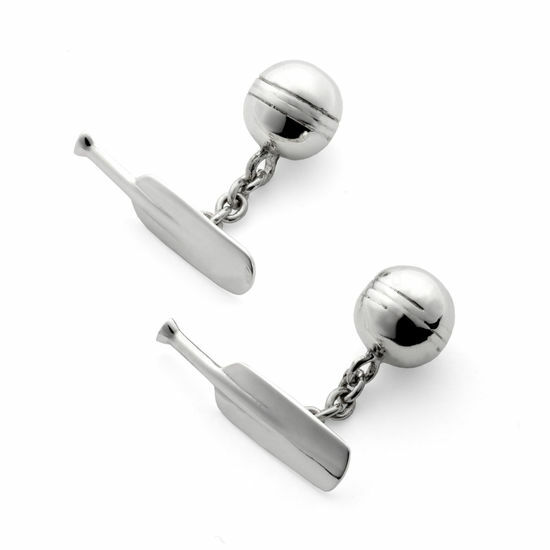 Give a stylish nod to your favourite sport with our Cricket Bat & Ball Cufflinks. 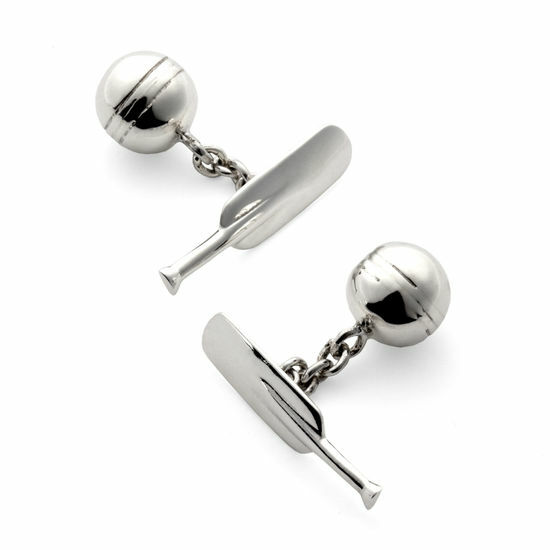 Crafted from hallmarked sterling silver, this charming design depicts the instantly-recognisable game's equipment, giving your formal wear an athletic edge. A small cable chain fastening ensures that the piece sits securely on your shirt sleeve. All of our cufflinks arrive in an Aspinal jewellery presentation box, perfect if you're giving them to a cricket enthusiast as a gift.